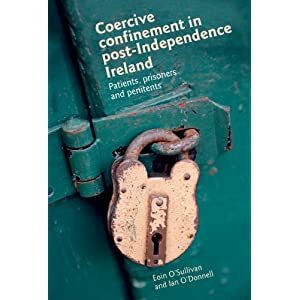 Ian O'Donnell and Eoin O'Sullivan recently launched their newest publication: Cocercive Confinement in Post-Independence Ireland. The book takes a broader and more diachronic reading of punitiveness and imprisonment, looking at previously under-researched institutions of confinement.The book also crosses many academic thresholds, and would be of interest to students and teachers of history, sociology and criminology alike. Indeed, such is the nature of the work that it has garnered wider attention than many academic texts are used to, evidenced by this welcome review in The Irish Times. Everyone is welcome to come along for some wine, chat and nibbles and join in what is sure to be a lively discussion in a fantastic venue. Drop an email to Lynsey at blalygamal@gmail.com to book.